Anchors aweigh for this memorable Member event—to Alaska! The 7-night, round-trip Disney Cruise Line sailing from Vancouver aboard the award-winning Disney Wonder transports you to glaciers, gold rushes and grand vistas at some of Alaska’s most popular ports. This coveted itinerary—back by popular demand—is as special as the exclusive gifts and experiences planned for Members during the journey. Once aboard, you and your family will delight in daily gifts delivered to your stateroom and onboard entertainment planned just for the Member Cruise. It goes on sale on April 6, 2019 at 10:00 AM Eastern Time. The exclusive Disney Vacation Club Member Cruise elevates the already spectacular Disney Cruise Line experience. Explore historic towns, towering fjords, majestic scenery and wildlife during this extraordinary Alaskan adventure. Explore historic towns, towering fjords, majestic scenery and wildlife during this extraordinary Alaskan adventure. Plus, enjoy 2 delightful days at sea—with access to signature Disney entertainment, themed dining, pools, live shows, surprises for Members and more. Distinctive dining choices to suit nearly every taste and style—from casual, quick-service venues with magical touches to formal dining rooms with a hint of romance. Specially themed play spaces for kids, including Disney’s Oceaneer Club—home to Marvel Super Hero Academy. Pool areas designed for relaxation and nonstop fun. The whole family can make a splash at Goofy's Pool—while the 18-and-older Quiet Cove Pool bestows a perfect oasis for parents to unwind. Enhance your Member Cruise vacation with a special Adventures by Disney vacation package in Alaska! Experience the natural splendor of Alaska with its majestic mountains, lush forests and wide-open spaces. Adventure Guides host special Adventures by Disney guided experiences in every port—and handle all the travel details to make your vacation hassle-free! You’ll enjoy exclusive activities on and off the ship and experience a curated itinerary of premium port excursions to make your Member Cruise even more magical! Ask about adding on this exciting package when you book your cruise. 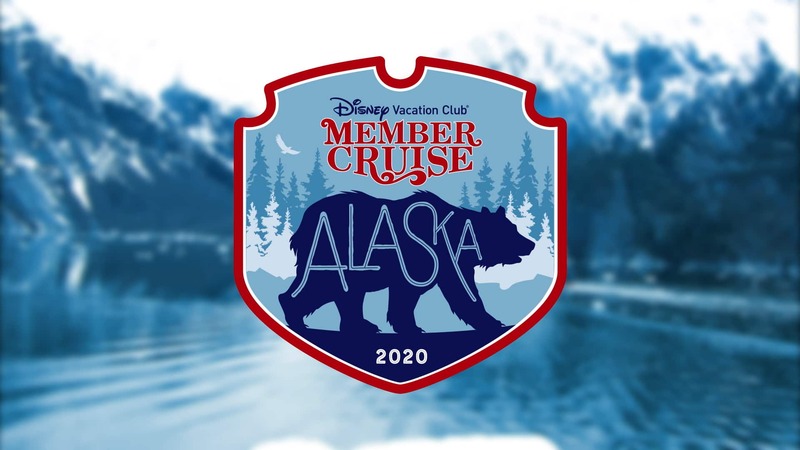 The 2020 Member Cruise to Alaska was so popular it sold out! Join the waitlist by calling Member Services. Find out the booking information and general rules concerning this 2020 Disney Vacation Club Member Cruise. Find out the booking information and general rules concerning this 2020 Disney Vacation Club Member Cruise. Please keep in mind that all reservations are subject to availability. Booking requests will not be accepted by fax, email, live chat or Member Online Booking—or in person at the Disney Vacation Club Member Lounge at Epcot. Additional fees may apply for recreational activities and Port Adventures.